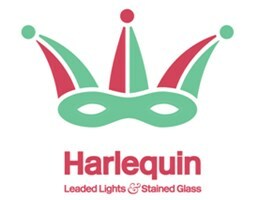 Harlequin Leaded Lights - Windows/Doors/Conservatories based in OSWESTRY, Shropshire. Jon learned his trade as a teenager at his father's lead light business, The Tudor Leaded Light Company, in Watford. Twenty years later and Jon has worked on everything from rusty green houses to Royal Palaces. He recently finished work on the restoration of the former BBC building Bush House on The Strand. Having moved to Shropshire with his young family, Jon is now sharing his expertise in domestic and commercial leaded lights, throughout Shropshire, Cheshire and North Wales.